It's that time of the year! Holiday parties, budgets, gift given, freshly fallen snow.... and selling your home during the holiday season. Many serious buyers venture out during the winter months to find their perfect home, and your stylish décor will make them want to celebrate the holidays in your home. 1. Clean and Stage: Before decorating and showing your holiday spirit your home should be staged. Remove all clutter from the home. 2. Create a Cozy Atmosphere: The less is more may tempt you to forget about holiday cheer, but a few subtle touches like bowls of pinecones and wreaths can create a festive feeling. 3. 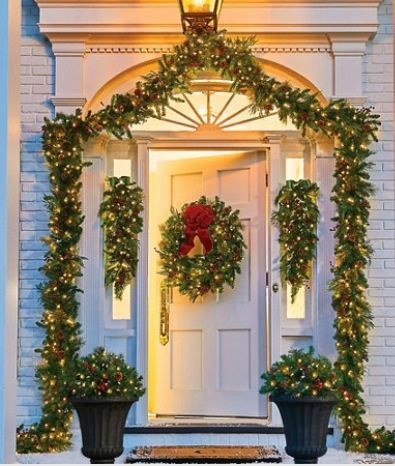 Complement your Palette: Make sure your holiday decorations match your current home décor. 4. Draw Attention to Features: Too many decorations may distract buyers, but the right accessories can draw attention to your homes best features. 5. Don't Use Too Many Lights: No inflatables.... tone done any light displays while your home is on the market. Use simple string/net lights to draw attention to the gorgeous landscaping. 6. Equal Opportunity Decorator: Keep neutrality throughout to attract buyers. 7. The Tree: A tall Christmas tree can help you show off your two-story living space, but make sure the base isn't too wide and doesn't overwhelm the floor space.